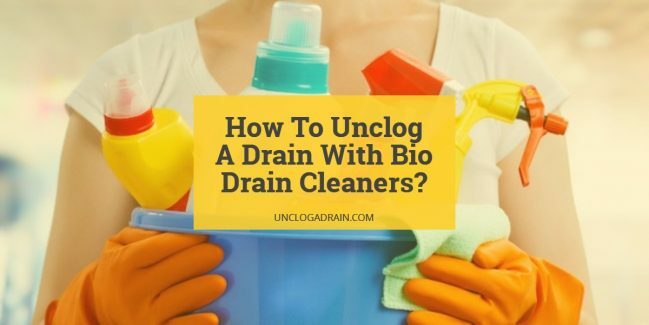 How To Unclog A Drain With Bio Drain Cleaners? Every chemical drain cleaner available in the market is harmful to the environment. People with small kids and pets do not find it safe to have such chemicals in their houses. If you are one among them, you can use bio drain cleaner. We will learn about unclogging the drain using this method. What are Bio Brain Cleaners? It is also called as bacterial drain cleaners. Each spoon of this cleaner kills millions of bacteria which feeds on the waste bio products in the drain and multiply! With more bacteria, more amount of waste gets digested by them. They have the power of multiplying twice their number in 30 minutes and one bacterium can eat waste of its own weight in one minute. Basically there are two types namely liquid biological cleaner and dry powder. Both have high effectiveness and the same working mechanism. The only difference is the shelf life. The liquid bio cleaners have low shelf life as the bacteria in the solution might interact with each other while being stored. The surfactant used as preservative would reduce the effectiveness. On the other hand, the dry powders have better shelf life and are more economical. 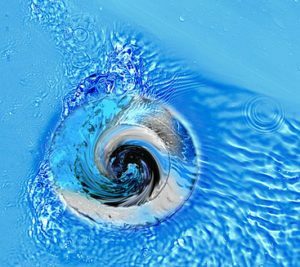 Worth reading: How To Unclog A Drain With Liquid Dish Detergent? Remove standing water in the drain and close the water supply to the drain. If you had poured hot water through the drain, wait for a few minutes for the temperature to fall. Bacteria die in hot conditions. Mixing bio cleaners with any type of clog removal solution including baking soda vinegar solution would simply kill the bacteria and render the process, useless. If the drain is clogged by things that are not biodegradable like plastic, metal and others, the bacteria cannot dissolve them. After adding the bio drain cleaner, wait for a few hours. It would take at least six hours for the bacteria to embed into the clog. Flushing after six hours would not cause any loss of bacteria from the pipeline. 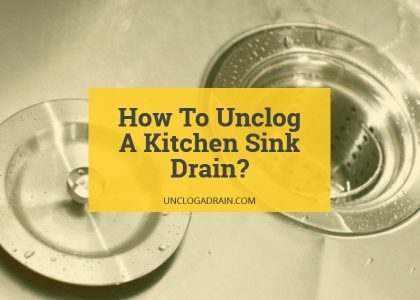 Related Article: How To Unclog A Drain With Baking Soda? It would take a day or two for the bacteria to climb all over the pipeline and dissolve all wastes. You would be seeing good results in a week. The time taken for dissolving depends on the type of clog. Hair based clog takes very long to dissolve. Grease and food particles are dissolved within a week. The clog is not usually a small blob that is covering the pathway of water. It is similar to thickening of the pipe walls from inside due to sedimentation of grease and wastes. Thus, the bacteria have to work on all the sides of the pipe, throughout its length. The time taken for the clog removal also depends on the length of the pipe. There would be no considerable output for the first five days. Using hot water or very cold water before or after using the bacterial cleaner will kill every enzyme in the pipeline. Using any chemical or mechanical method that involves pressure would reduce the effectiveness of the method. Once the clog is softened by the bacteria, use auger or snake to pull out any debris. Dried plant roots can be dissolved by the bacteria and live ones are unaffected. The shelf life of this cleaner is several years if stored well. Once moisture is absorbed, the bacteria start multiplying and eventually dies making the stored cleaner useless after a few months. Adding more bio cleaner would not increase the speed of the process. Bio drain cleaners provide a vertical approach to cleaning by cleaning all the sides of the pipes and every inch of accumulated clog rather than focusing on one point where the water blockage has occurred. Thus, it would take several days to eat up the gunk that was accumulated for several years. There is not catalyst to enhance the speed of the process. 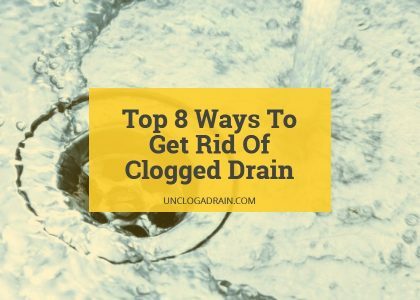 You can use the drain as you wish after six hours and you would have a completely clean pipe in a few weeks. How To Unclog A Kitchen Sink Drain?